These mineral wall decoration products create walls with texture and character. Crustal looks and also feels authentic, bringing the harmony of nature into your interior. Crustal is the perfect solution for combining a sleek modern style with organic elements. It has an attractive texture that creates an authentic look in combination with the excellent characteristics of a mineral finish. These coatings add character to rural as well as modern buildings and also contribute to a natural living environment â€“ also in low-energy and passive houses. 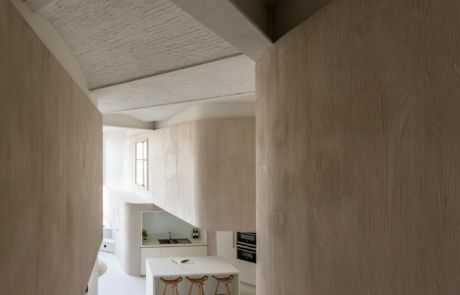 A professional craftsman can maximise the versatility of Crustal, for example, by applying it as a smooth plaster in a wide variety of colours. Or he may choose to make the texture even rougher so the wall is highlighted even more, creating a unique look and feel. 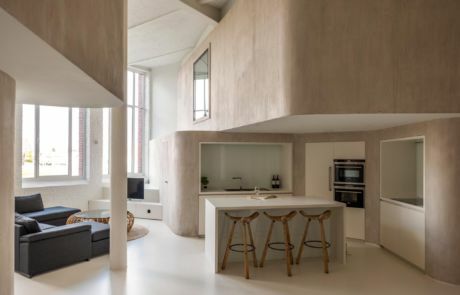 The coating can also be made to resemble wood or brick â€“ it all depends on the effect you want to create in your interior. Crustal is a durable, environmental-friendly chalk-based product that is in keeping with the new trend of textured mineral walls. So nature is returning to modern buildings through these sophisticated and aesthetic coatings. Application by a craftsman guarantees endless possibilities for a contemporary finish. Crustal is a mineral product manufactured using European chalk. It is supplied in powder form and mixed with water on-site. It is VOC-free. The uniqueness of the final result on the wall is entirely in the hands of the craftsman and his or her creativity. The final result depends on how he or she applies the product. Crustal can be applied on almost any supporting, solid substrate that is in good condition. Plaster, existing paint finishes and tiles are all good substrates as long as they have adequate binding properties. Crustal has a particular weight and the substrate must be able to bear that weight. Moreover, Crustal can make rough substrates look more attractive because its texture conceals the roughness. Its texture also allows small imperfections in walls to be neatly concealed. Crustal is initially pigmented integrally. 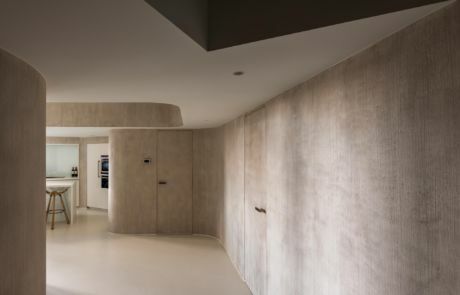 Crustal Mono can be used to create a smooth, matt chalk plaster as well as a rough, natural look. For more colour depth and even more attractive 3D effects, you can use Crustal Accent to create more subtle or less subtle colour nuances. The stylish colours and beautiful textures reveal the hand of the craftsman and guarantee a unique, authentic-looking wall. A craftsman can accentuate reliefs and patinas using combs, brushes, or spatulas and by adding extra colour pigments to create unlimited textures and colour nuances.